Thousands of pilgrims from all over the world take the many Camino routes to Santiago de Compostela each year, walking hundreds of kms across France, Portugal and Spain. More than just a pilgrimage, the Camino is a unique experience, a journey to remember. Don’t leave without your pilgrim passport, also known as ‘credencial’. Your pilgrim passport will record your journey and become a precious progress book. You will have to collect stamps on your pilgrim passport along the way in order to receive your Compostela certificate or certificate of Welcome once you reach Santiago. You should collect one per day if you start outside Galicia, and two per day if you are walking within Galicia (the last 100km for instance). Bear in mind you can use the same pilgrim passport for several years, for instance if you are doing different stages of the Camino in separate trips or seasons. Many pilgrims choose to walk 1-2 weeks per year and continue where they left it the following year, for instance. 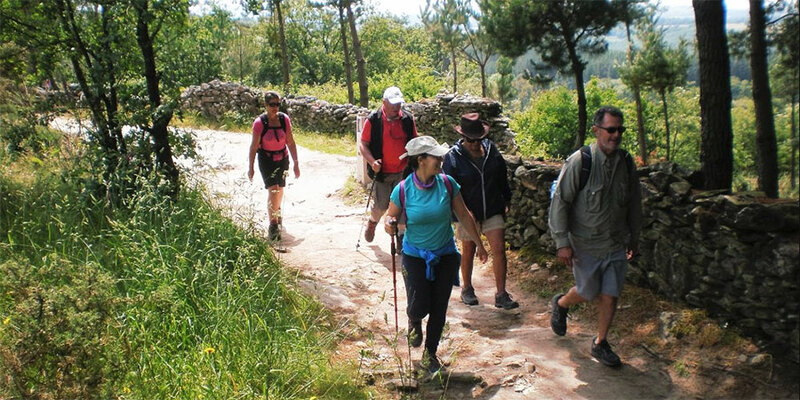 Plan a Camino that is suitable for you and your fitness level. The Camino routes cover thousands of kms across Europe. Each of these Camino routes are divided in stages. You can start your Camino at any stage of the routes; although we recommend choosing a major city/town or village as a starting point in order to have easier access by public transport. The knowledgeable CaminoWays.com travel specialists will be able to assist if you need advice. *Read our blog How to choose the right Camino de Santiago route. We can all have a different idea of what’s the ‘best time’ to travel, pick the right season for you. If you are walking a coastal route, Summer will be ideal if you enjoy swimming in the Ocean for instance, and it will also be more sociable. 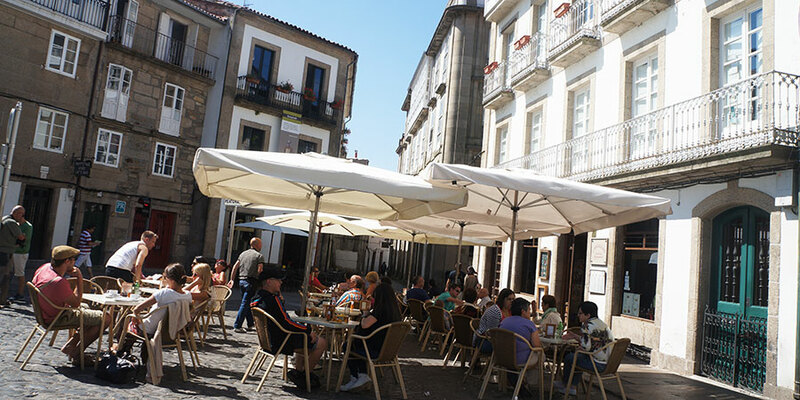 In the Summer months, you will be able to catch local festivals such as the St James festivities in Santiago; Sao Joao in Porto in June, etc… Autumn / Fall will be, in general, quieter and cooler. *Read our blog What are the busiest months on the Camino? You will be walking approximately from 20 to 25kms per day on an average day so a bit of training is highly recommended. Start walking as soon as you have booked your Camino trip and build up the number of kms each week, also covering different kinds of terrain. *You can download our free Camino Fitness Guide. Take layers to be prepared for different weather conditions, pack comfortable trekking clothing and the right walking shoes (never take brand new shoes!). Don’t forget the sun cream, sun hat (or woollie hat if you are walking in cooler months) and your camera! walking poles can be easily found in stores in the biggest Camino cities, particularly on the French Way. *Read our blog dedicated to Camino packing tips. The Camino is the first UNESCO-listed trail for a good reason: for centuries it has connected peoples of different cultures and backgrounds and facilitated cultural exchanges. Read up on the towns and cities you will be passing, some of them have very interesting stories to tell, legends, myths… many of them closely linked to the Camino. Greeting other pilgrims and locals with a ‘Buen Camino!’ is the norm on the Camino. You can also learn a few extra basic words to make your experience more enjoyable. Your CaminoWays.com holiday pack will include a list of useful phrases in Spanish, French, Portuguese and Galician. Brush up on your ‘gracias’ and ‘por favor’. *Read our useful Camino lingo. Yellow arrows and scallop shells will take you to Santiago de Compostela. However bear in mind the orientation of the scallop shell will differ in different regions, depending on their interpretation of its meaning. With the yellow arrows, however, there is no room for confusion. Along many sections you might not even need your walking notes and maps. The Camino is not a race and it’s not a fitness challenge. Find your own pace and enjoy the way, particularly if your accommodation is already booked and you don’t have to rush to get a place at the next hostel! It might sound obvious but it really is about the journey, not just the destination. Respect other pilgrims and keep in with the fraternal ‘spirit of the Camino’. If you are cycling, be aware of walkers around you. If you are walking, let cyclist pass you. Food is an important part of the local culture, be open and try as many dishes as possible. Also bear in mind meal times in Spain are generally later than in other European countries, it is not unusual to serve dinner from 9pm, be patient and understanding. Meal times vary depending on the regions but along the Camino, many businesses have adapted and now serve dinner earlier (for Spanish standards). *You might want to read our blog The Camino in 10 dishes. 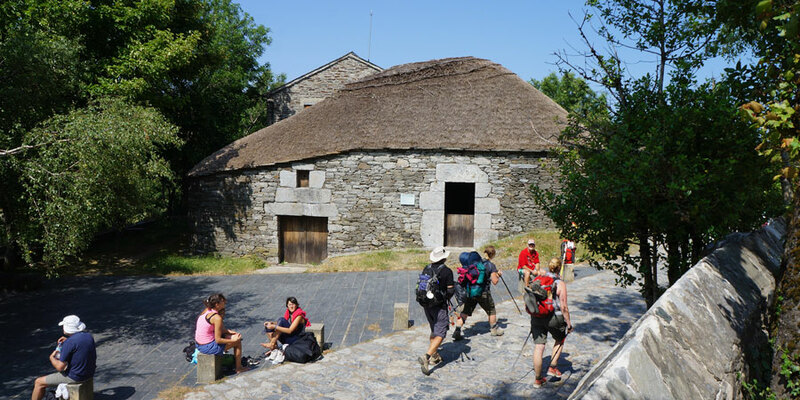 If you walk at least 100km into Santiago or cycle at least 200km, and have stamped your pilgrim passport along the way, make sure you apply for your Compostela or your Certificate of Welcome at the Pilgrims Office in Rúa do Vilar. Once you reach Santiago de Compostela, take a day or two to explore this magnificent city, its cobbled UNESCO-listed old town and lively cafes and bars. 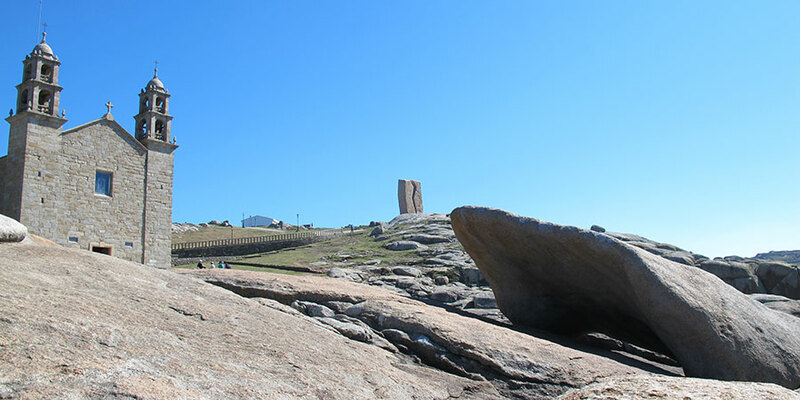 If you have time, why not take a trip to the coast Galicia is famous for? What are your essential Camino tips? Share them with us! Download our free ebooks with tips, fitness and all you need to know about the Camino here: CAMINO EBOOKS. Hi Rajat, good walking shoes with good ankle support should be enough for the last section of the French Way. 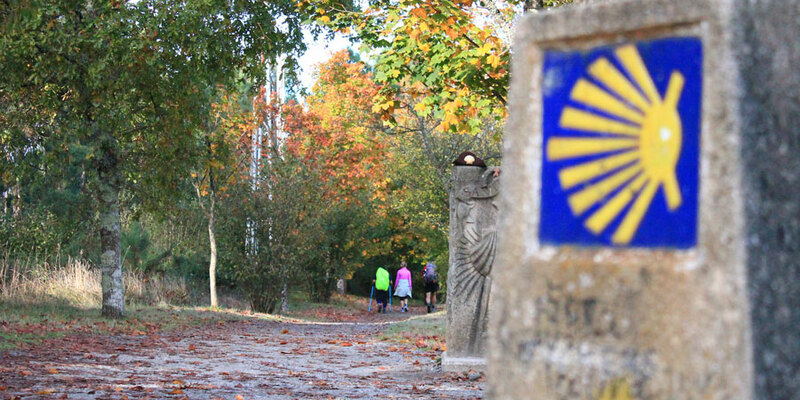 Weather in Galicia in October should be perfect for walking, have a look at the weather tab here for average temperatures and rain fall in October: http://caminoways.com/ways/french-way-camino-frances/french-way-section-8. Bring a waterproof coat in case you get some rain. A good site to check the weather forecast before you travel is eltiempo.es, for a more accurate forecast. I hope this helps and have a lovely trip! Doing last section 8 of the Camino.hiking boots or good walking shoes?strictly to cut down luggage. How cold is it in beginning October. Hi Angus, thank you so much for choosing us for your Camino trip. You will also be able to get your passport stamped in churches, restaurants and many shops along the way, as well as your accommodation. The last section of the French Way is very well marked and you’ll find you probably won’t need to look at the maps or walking notes. The walking notes include elevation profiles but no contoured maps. Personally I don’t think you will need them but if you really feel more comfortable having one to take with you, then of course feel free to bring them from England. There is a good outdoor/pilgrim shop in Sarria called Peregrinoteca.com, you might be able to find them there. They also sell walking poles and other equipment for pilgrims. They are right on the path. I hope this helps, Angus! if you have any other question before your trip, please let us know. We are happy to help. Kind regards. Hi Maria. We go with you in September from Sarría. Apart from the overnight accommodation, who else stamps the passport to get two in each day’s? Thanks for your tip, James! trekking poles are highly recommended and indeed much easier to get on the Camino than packing/checking in with airlines. My experience walking the Camino taught me that TREKKING POLES are essential. They make the walk so much easier! Buy them in Spain because they are dramatically less expensive there.